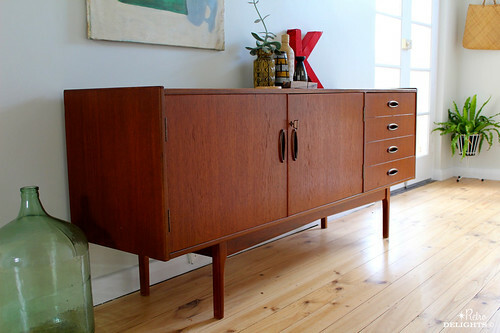 Blame the key I say... yes that is what sold me on this teak Fler Sideboard. 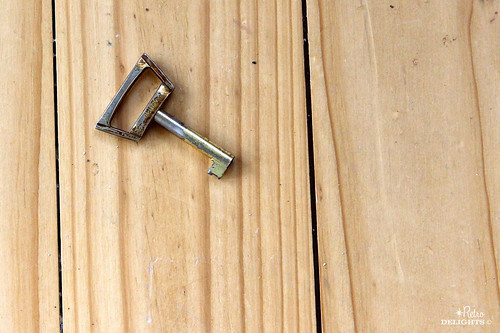 The turning mechanism makes the coolest sound when you lock and unlock the door. Kind of clunky sounding but retro cool. 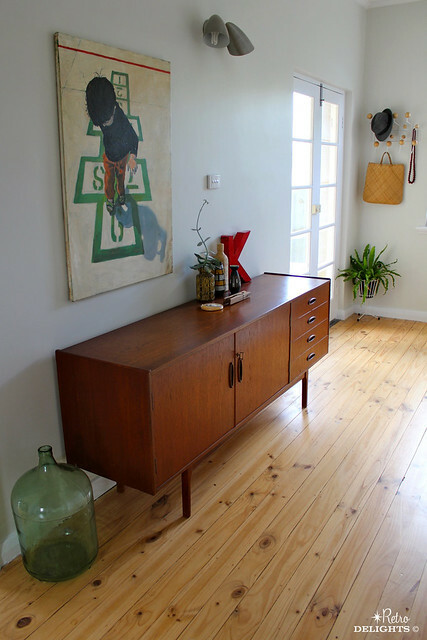 I just had to have this key, so lucky I liked the sideboard that came with it! 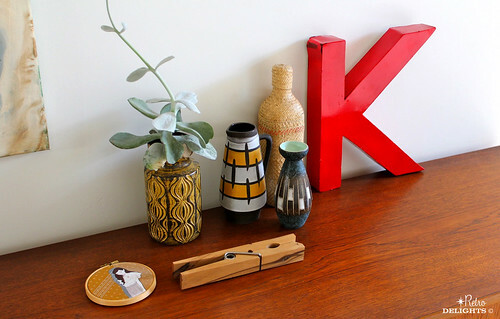 A little collection displayed on the Sideboard. • Vintage glass bottle - my Mum found this at the dump before I was born. I used to roll around on it when I was a kid!